For the past week or so, I’ve had a minor sore throat—nothing keeping me up at night, just a slight twinge of pain, mostly in the morning when I swallow down that first glass of water. Although I haven’t rushed out to a doctor or walk-in clinic yet, I have been spending my free time pondering the possibilities of whether it’s allergies, stress, a postnasal drip, or perhaps the first symptoms of throat cancer. When my sister calls me in the morning much earlier than she usually does, I know there is something specific she wants to tell me, and I am proved right as she shares the news of the death of a successful young comedian and writer the day before. She knows his sister well. I am not familiar with his name, but I know why she called to tell me. It doesn’t quite hit me yet as I talk to her on the phone. “Oh my God, how terrible,” I say, “I can’t even imagine,” which is something that comes out of one’s mouth automatically when discussing these things, but I correct myself when I realize I CAN imagine, because it happened to us. And, then I think to correct myself again, because it happened to HER, our second sister, but I realize I was right the first time, because it’s still happening to us. I google the comedian and read about his successes. Writing and producing hit television shows. Famous friends and peers. Regular columns on comedic sites and youtube clips of standup shows. I read his articles and watch his clips. He is hysterical and talented. A life to be envied. And I think what I always think – what potential; how tragic; what an unfinished life. But, I don’t really know him, and I knew my sister, so I think about her. Their lives intertwine in my head and I think about being his sister, too. His older sister. What I would have said to him over the years. How I would have supported him but likely lectured him too. How much I might have known and how much he would have kept secret from me, so as not to hear another lecture. I look through a series of photos of him; the same ones cycled through and attached to the news of his death. He is ordinary looking, a little scruffier in some than others and his face reminds me of boys I grew up with. He was 30 years old – impossibly young to die – and three years younger than my sister was. He still looks like a boy. He still is a boy. Briefly, I think about drugs, but not in the way I used to. Not in a critical and judgmental way. Instead I think about sadness. I think about anxiety and pressure and trying desperately to rise above emotions and thoughts and obsessions that are tiny thorned fingers digging into your soul and pulling you down into the dirt with them. I think about finding something that might take you away from that even for a few moments and how desperate you might be to hold onto it and hard it would be to let go. I think about my own life and what gets me through it, and what a strange concept it is to feel the need to push myself along. I think about not enjoying life most of the time, wasting it, rushing through most moments to get to the ones that I have decided matter more. The next holiday. The next weekend. The next vacation. The next online purchase. The next glass of wine. I think about being 35 when my sister died and not being able to make sense of it. This doesn’t happen to people like us. How did this happen? How could this happen? I think about blame and a desperate need to place it. And the agony of guilt, which I wear comfortably like a pair of worn-in jeans. I am used to guilt. Guilt proves I care. What could I have done differently? How could I have saved her? But, I already know the answers. “There’s nothing you could have done,” says David Sedaris, after I wait on line to have my book signed. 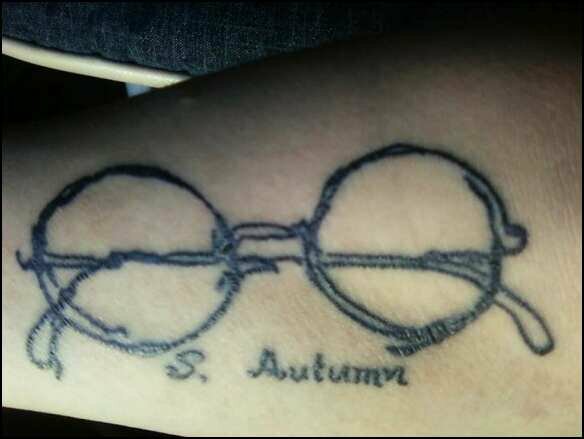 During his reading, he mentioned his sister who committed suicide, which makes me think of my sister again, and when he notices a tattoo of a pair of glasses on my forearm, he asks about it and I tell him it’s in tribute to her. I comment that I didn’t know about his sister and say something about feeling upset that I couldn’t have done something, for my sister, which prompts his statement. I admire his ability to not feel a sense of responsibility about his sister, or at least I think I do. I watch my young sons and try to live in this moment of their innocence, when the hardest part of the day is finding a pair of clean socks. I think about their futures, their inevitable suffering and struggles. What am I doing today to shape their tomorrows? How can I stop their sadness and prevent their pain? What mistakes have I already made? What mistakes did my parents make? I think about loss. I think about the phrase ‘so sorry for your loss’. I think about how many times I said it before I could possibly begin to understand it. I think about how incorrect it is to use it, because it’s not just one loss, but a series of losses that happen over and over, every time a baby is born, or a wedding is celebrated or a vacation is enjoyed or a birthday is marked or hundreds of other tiny moments that might happen in between. I think about losing things like your keys or a twenty dollar bill that you thought was in your pocket. Things that might be found again. I decide to stop using the word ‘loss’ in the context of death from now on. This past week, I dug a grave. 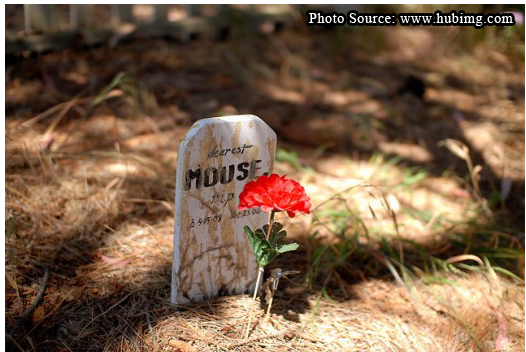 It was a tiny one – just rat-sized – to bury our family pet. It was, in fact, the second such plot I had to prepare in less than a month. As I cut through the thick roots that seemed to weave just under the surface of our entire back yard, it grimly occurred to me that digging a grave is much more difficult than they make it seem in the movies. But with my husband away, the job – and shovel – of grave digger for our two rats had fallen into my hands, as well as the painful and daunting task of beginning a ‘death dialogue’ with my two young sons. Pets die; we all know this. In fact people also die, and although I counted myself lucky that my first major discussion on the circle of life involved a rat rather than a relative, I was dreading it nonetheless. Woody Allen once said, “I’m not afraid of death, I just don’t want to be there when it happens.” The truth is I am consistently apprehensive about the concept of my own mortality. The idea of suddenly and permanently ceasing to exist seems extremely unpleasant, to say the least. I’m sure my lack of a formal religious upbringing and being born a third-generation hypochondriac doesn’t help my spiritual or secular chances of feeling comfortable with the idea of eventually passing over into either nothingness or (possibly) somethingness, but I was determined not to let my neurotic fears get passed on into the brains and hearts of my children. After the death of the first rat, I attempted to reconcile my own feelings, and delivered what turned out to be a rather forced and phony soliloquy about ‘all things coming to an end’ and a reference that I believe came from Disney’s ‘The Lion King’ about our dead rat feeding the soil which will then feed the plants and other animals and thus allow our pet to live on in some cosmic form of recycling. I think I even mentioned the distinct possibility that our rat would be reunited with loved ones in ‘rat heaven’ and could frolic once more together on some giant hamster wheel in the sky. I felt like a hypocrite, and when the second one passed away weeks later, I reconsidered my approach. My sons were already very familiar with the idea of death as it related to cartoons and video games. Violence and fatalities without consequence is a concept that is almost unavoidable in this society. Were my sons immune to the idea of a loss of life at this point? Were all the studies about television violence that I had skimmed online correct? Would my children feel anything stronger than a vague desire to change the channel on this fairly uncomfortable scene? I considered my older son, who had taken on the responsibilities of pet care with the typical and varying amount of enthusiasm of a nine-year-old boy; from excitement to boredom; from determination to annoyance. When the first rat died, I worried about his reaction; all the time he had spent cuddling and petting something that was just alive yesterday and now was gone. But, he is more practical than dramatic and adopted a stoic sense of appropriate but succinct grief; the emotional equivalent of politely removing one’s hat for a moment of tribute to a fallen, unknown hero, before easily changing the subject to something cheerier. My five-year-old, still deeply rooted in a ‘monsters under the bed’ phase, lingered on the gruesome possibilities of our rat joining the army of the undead. “Will he be a zombie?” he wanted to know. He was interested in the process of digging the grave and wanted to watch. I worried about his morbid curiosity, and my mind flashed forward to his inevitable serial-killing future and subsequent trial during which it was revealed his grave-digging proficiency was directly related to my early influence. I wavered on what level of fervor should accompany my final discourse on the topic, which I was saving for the backyard funeral. I was caught somewhere between ‘My GOD, he’s dead, Jim!’ and ‘Don’t worry, be happy.’ How could I both comfort and clarify on a subject that was not only distressing and mysterious, but was such a personal stumbling block for me? I worried that whatever I said was the wrong answer and would set my sons on a path of anxiety and fear. Ultimately, I decided to avoid delivering a definitive death diatribe – and not only because I didn’t have one – and focus on what I thought my sons needed at that moment instead. For my practical son, I suggested he pick out some rocks as headstones and inscribe appropriate tributes to our departed pets. I allowed my kindergartner to watch the burial, but was secretly relieved when he decided to turn away at the last moment. We all shared funny stories about the rats and focused on their lives as much as possible. Unfortunately, I’m sure there will be other opportunities to have such discussions; but I’ll take as much time as I can get. In the autumnal aftermath of the dissolution of my first marriage, I took a job and a leap of faith across two states to begin a new life. Amidst my feelings of disappointment and failure were the seeds of possibility and anticipation as I resolutely vowed to rediscover myself. I had called upon several old colleagues to dig up whatever remnants of a professional past I might have had prior to my wedding and hoped at least one job opportunity would reveal itself. Several long distance interviews later, I secured a position in Connecticut, something I was sure would stick for a while. I had one small problem, in the form of my toddler son, who obviously required daily care. I worried about the expense of daycare and in a moment of desperation, I asked my younger sister Sarah to come live with me and watch Max throughout the fall and into the winter. I would pay her wages and provide her with room and board. Although I tried to persuade myself that asking for Sarah’s help in this time of personal crisis was something anyone with family would do, I was not without reservations about it. Of my three younger sisters, Sarah was closest in age to me, but furthest apart in temperament and personality. A freelance journalist working on her master’s degree and still living at home with my mother and her husband, she was the eternal student, full of plans and prospects that rarely panned out. Incredibly intelligent, but sometimes lacking common sense; she had the characteristics of someone who might have been diagnosed with a form of Asberger’s. With the ability and ambition to have a conversation with anyone but in a way that may have alienated some, she had a somewhat tentative and halting way of speaking sometimes, as if gathering her thoughts before each statement. Sarah always seemed to be moving in slow motion, and my impatience and irritation with her dreaminess had created a void between us in recent years. I felt older and wiser than her in almost every way possible, and yet here I was, faced with the collapse of my own conclusions on how life should be lived, practically begging for her help. The irony was not lost on me, but with a genuine concern for my wellbeing and without as much as a finger wag, Sarah agreed to stay and care for her nephew. I had rented a fairly large, cheap but somewhat decrepit apartment which would provide plenty of room for the three of us. Determined to cling to an altruistic motivation rather than a selfish one, I had convinced myself that I was also offering Sarah an opportunity to grow as a person. Living at home at the age of 29 was not healthy, I reasoned, and the somewhat claustrophobic house of my mother, her husband and their eight dogs certainly couldn’t allow Sarah the freedom to become a full-fledged adult. Living with me was one step closer to living by herself – a goal I felt was in her best interest and within her capacity once given the chance to get closer to it. Sarah took her care-taking responsibilities to heart and provided my son with a loving and compassionate environment while I was at work. One and a half year old Max, having recently eased out of a phase during which he refused to leave my side, adapted remarkably well to my sister’s custody. The two took walks through the neighborhood while the weather remained warm enough and did crafts of various sorts that were hung carefully on the refrigerator door for my inspection when I returned home. Throughout a bout of even pickier eating than usual that so worried a local doctor’s assistant that she labeled Max ‘failing to thrive’, Sarah kept religiously meticulous notes on his diet and diapers for two weeks to provide evidence that genetics rather than malnutrition was the culprit for his tiny size. As we settled into our routines, and I began to revel in my new-found independence, I found a confidante in Sarah, and began to remember what a selfless, loving person she was. Work gossip, family griping, even potential romantic interests – Sarah provided an open ear and a supportive sounding board for me. Not like some roommate, but like my sister, who always knew what I needed to hear, always took my side, and seemed more worried about my wellbeing than her own. A sister who seemed to thrive on my conversation. But, it was always about me. Whenever the exchange turned to her and my lofty thoughts for how she could and should improve her life, she carefully and graciously brought it back around to my issues, which I was usually happy to talk more about. Eventually, I began to take advantage of Sarah’s generosity. Drunk on freedom (and Chardonnay), I went out at night on occasion returning home too tipsy to have driven and suffered Sarah’s anxious concern over my state. I dismissed her distress with the assurance of a teenager and briefly felt like I was the younger sister with Sarah scolding me like a mother hen while I laughed off her fears. Regularly, our own mother would call to speak to Sarah after enduring an argument with her husband. The increasing frequency of their disagreements seemed directly related to Sarah’s absence in their home and she worried about the state of their marriage. “You are not their referee,” I reminded her, even as I grew gradually more dependent on Sarah’s role in my own household, but I could see Sarah’s concern. As winter approached, Sarah began to talk about her plans for going back to my mother’s house and once again I begged her to stay. In many ways, I had become as dependent on her and her support as I now realized my mother was. Sarah with her generous heart and anxious head, worrying about you so that you didn’t have to. Or perhaps so she didn’t worry about herself. I thought if I could create a better motivation for her to stay, she would. I found her a freelance writing job locally, but she found reasons to decline it. She talked vaguely about professional commitments she had back in Pennsylvania, and eventually I stopped arguing. They were my arguments; for what I wanted for her, and I certainly couldn’t force her to listen. I found daycare for Max and she left after Christmas. Without the intimacy of our living arrangement, our interactions returned to what they had been – those of two sisters living very different lives, their connection increasingly growing more distant and faint. 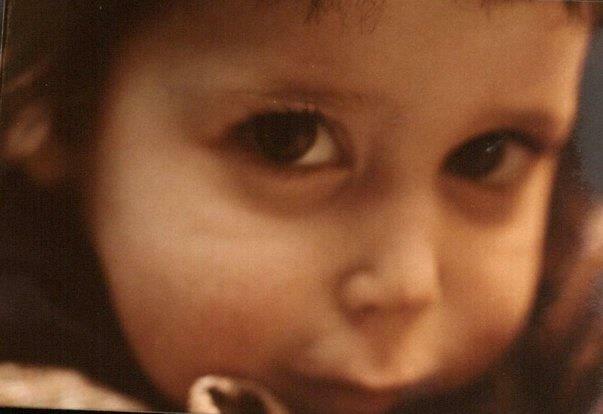 When Sarah died suddenly in 2009, a storm of emotions and regrets consumed me that I still battle to this day. I judged myself as harshly as I had ever judged my sister. The one sweet note in the symphony of inner discord that I have suffered through has been the memory of that one autumn that I had a chance to spend with Sarah.